The Rivonia Media Group is a cross-media company based in Rivonia, JHB. 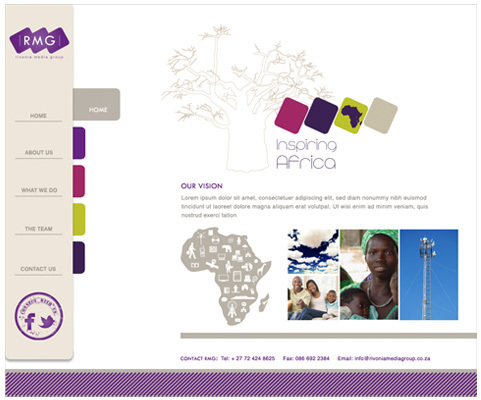 RMG prides itself in telling real African stories that inspire and motivate. This is a team of passionate people dedicated to profiling and enhancing Africa and our people, using entertainment to tell the stories, and our product offering reflects this vision. Visit www.rivoniamediagroup.com to view the full site.